Hey GS! It’s that time. The Cypress Challenge is right around the corner. It’s the biggest event of the year for the club and a primary reason for the club’s existence. In 11 years, the Cypress Challenge has raised over $2.7M. Pancreatic cancer has a very low survival rate, at just 9%. There is still no easy way to detect or treat the disease. Funds raised at the event have helped launch the EPPIC (Enhanced Pancreatic Cancer Profiling for Individualized Care) program which will study new personalized treatments. 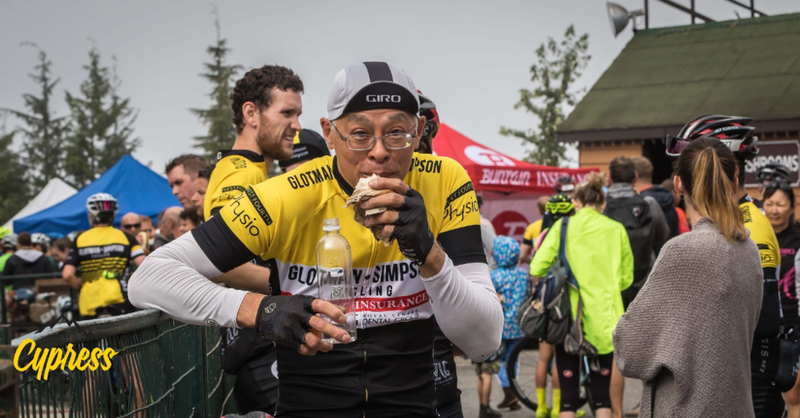 Doctors from the EPPIC program have credited the Cypress Challenge not only with very successful fundraising but with raising much-needed awareness. As a member of the club, we are hoping you’ll get involved, so we’ve listed five ways that you can support the event. This one’s a given. Have you registered yet? Do it now. Do it. If you’re not there on August 12, you’re conspicuously absent. 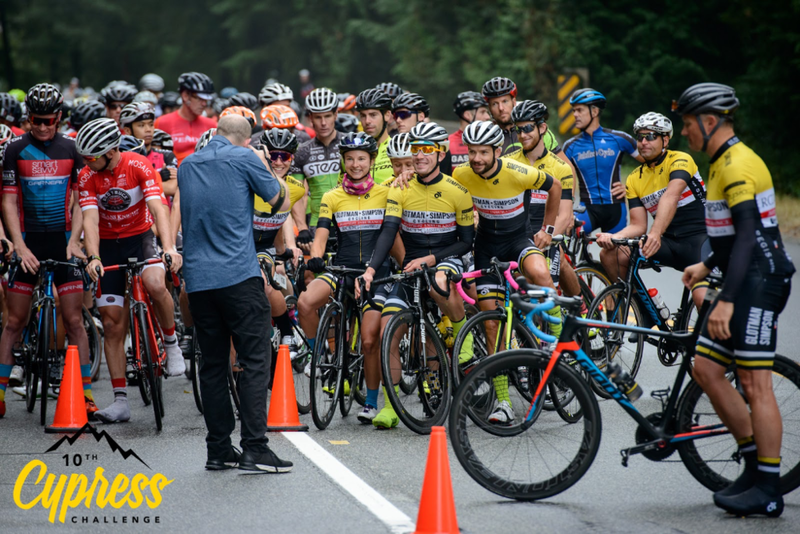 Your organizing committee has set a goal of getting 1000 riders participating in the event, and we can’t do it without you. Tell your other cycling friends, other clubs, and your family members. As a member of GS, you’re empowered to be an ambassador for the event. When you consider that your participation and that of your friends can literally save lives, it should be easy to convince them. It’s a timed event, with excellent support, terrific sponsors and a great group of people. It really shouldn’t take that much convincing. Every little bit counts. Although the event is always well-attended, the bulk of the funds raised always come the few, not the many. Hit your friends and family up on Facebook for donations, just to see what you can come up with. One trip up Cypress too easy for you? Commit to riding for a PR and suffer your way to a personal goal. It will be easy to achieve on event day, with so many wheels to follow, and the “race day” mentality of such a big, fun event. 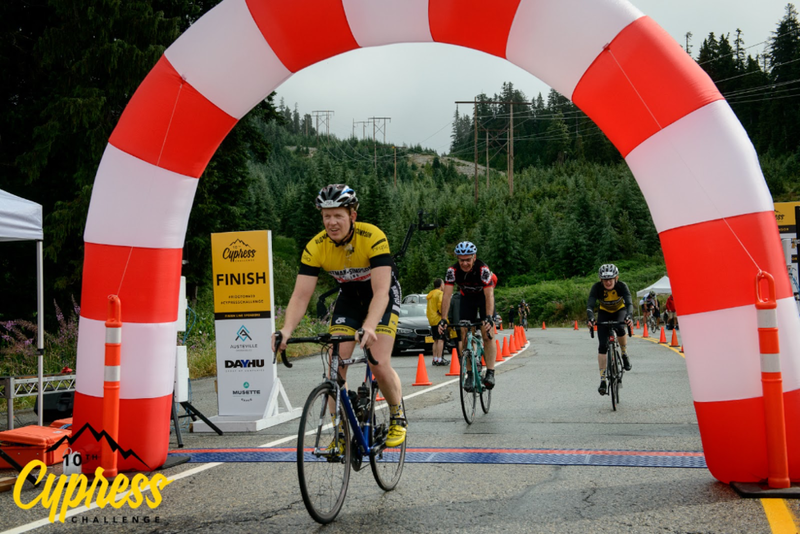 Tell your family you're willing to suffer for their donations and then leave it all on the mountain on August 12. If you’re not capable of riding, or you have a family member who would prefer not to ride, have them volunteer. It takes a village to raise this child, and we could use all the help we can get. From package pickup, to registration and check-in, to helping to set-up and take-down, it takes a lot of people to make an event like the Cypress Challenge happen. 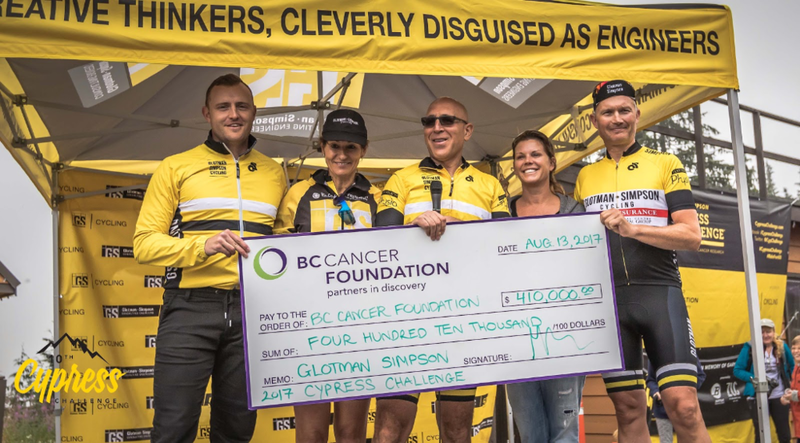 Know someone who would like to sponsor an event like Cypress Challenge, that brings together both cycling enthusiasts and the team from BC Cancer? Put them in touch with the committee, and have them donate cash, services or goods to the event. The auction is one of the highlights of the party that takes place at Nordic at the top of the mountain on race day. It’s always good for some last minute donations and has helped put us over the top of our annual fundraising goals in the past. For it to work though, we need some desirable items that participants will bid on. Any item, big or small would be appreciated. Smaller items get bundled into prize packages, and big items can stand alone. Get in touch if you have an item or an idea that you think could work. Can’t wait to see you there on August 12. You’re coming, right? RIGHT? See you on the start line!